Prior to placing your order, please ensure you review our Sales Terms & Conditions. 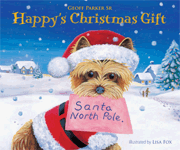 For every six books purchased on our website from now until 31 January 2015, Happy will send two books and two toys to a Children's Hospital for for seriously or terminally ill children. Click here to learn more. 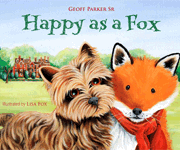 Click Here To Save 45% when you buy both Happy As A Fox AND Happy's Christmas Gift! Happy takes a trip to the British countryside and once again finds himself in trouble. 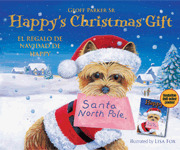 Each book includes a FREE "Happy" poster! Includes higlighted words and phrases in the text.